While I was teaching Facebook analytics with NOMI Network, I had a divine appointment in meeting Lynn. Lynn is an amazing women working with Morijana and doing incredible work with women coming out of the slum communities and empowering them to be everything they could possibly be. She is full of love and encouragement. Over the past few months, I’ve gotten to really know Lynn and the rest of her Khmer team at Morijana. 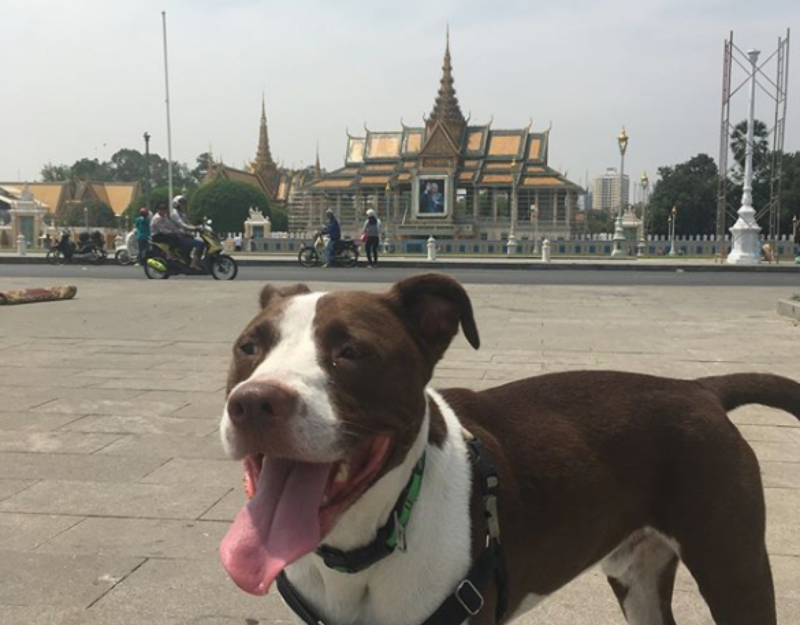 It’s been fun to teach her the ins and outs of Facebook marketing and it’s awesome when she teaches me more about life in Cambodia and what she is learning launching this new business. My roommate, Amanda, and I went to support Lynn at the launch of Morijana’s new storefront. 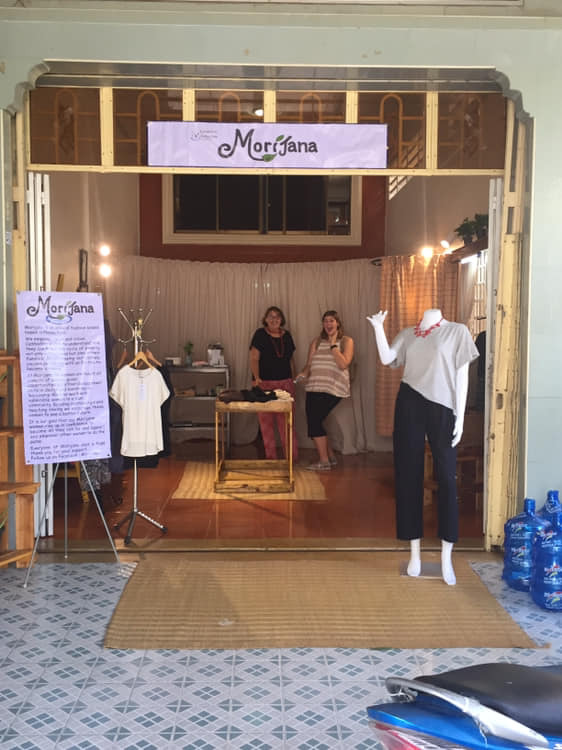 Morijana is an ethical fashion, freedom business, based in Phnom Penh Cambodia. 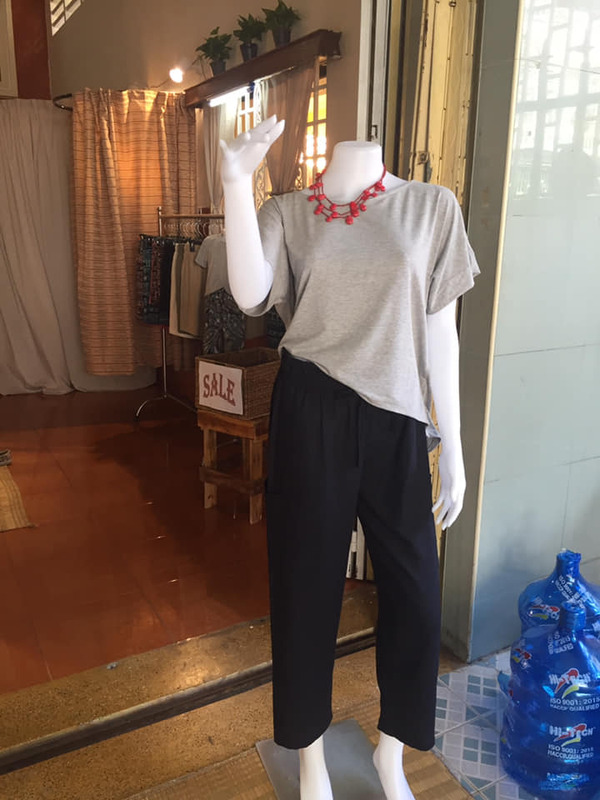 They empower, train and vision Cambodian women to understand how they can break the cycle of poverty not only in their lives but in their families as well. 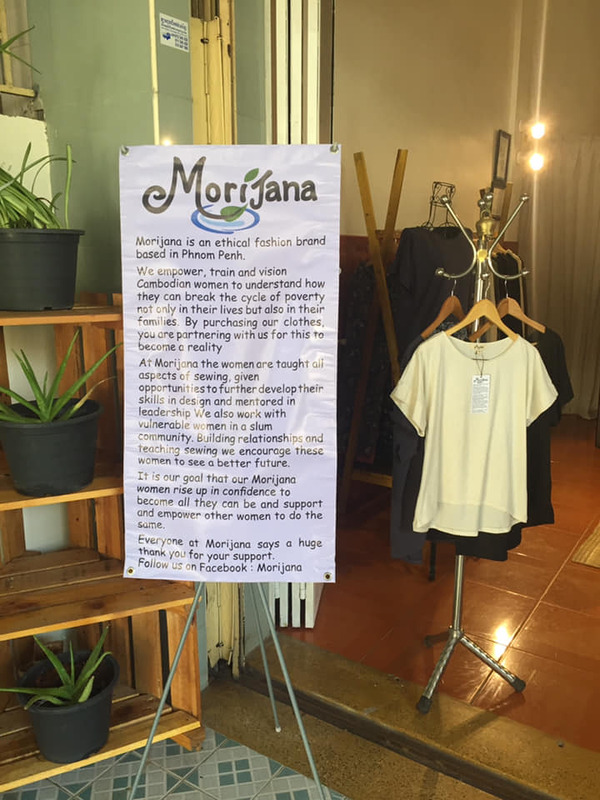 By purchasing Morijana clothing, people are partnering with Morijana to make this a reality. There is a running joke in my friend group. “How do you tell if someone is an expat or a tourist?” Answer: Check their pants. If they have elephants on them – they are a tourist! I’ll be totally honest, I bought the green elephant pants, I love them and have been wearing them to my Christmas parties this year. At Morijana, Khmer women are taught all aspects of sewing. Not to mention fair wages, open plan work conditions, incentives, mentoring. They are also given opportunities to further develop their skills in design and mentored in leadership. Morijana’s designers, cutters, sewers and managers are all Khmer nationals. They also work with vulnerable women in a slum community. Building relationships and teaching sewing, we encourage these women to see a better future. By learning to sew, being mentored in their lives and having accessible schooling for their children, Morijana women now have a choice, hope and a future. 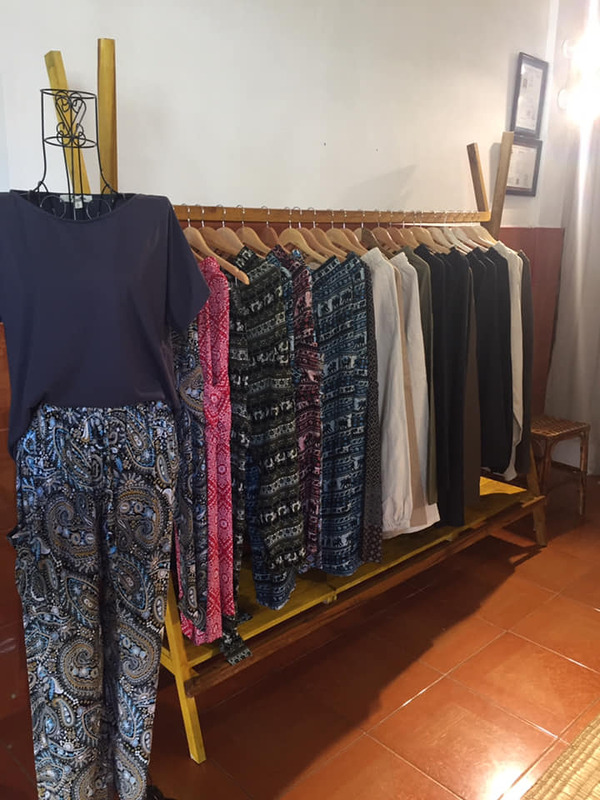 The thing I love most about Morijana (aside from all the amazing empowerment) it’s the fact that they make clothing for Western women! Pants that fit me are so hard to come by here. These are only the second pair I’ve been able to find that fit me here! It is Morijana’s goal that Morijana women rise up in confidence to become all that they can be and support and empower other women to do the same. Empowered women empower others! This poverty cycle is starting to break, not only for these families but for future generations. These women will one day be a catalyst in supporting others to do the same. Have a favorite ethical clothing brand? Who is it and why is it your favorite? A girl, her dog, and God.